2 Pack: Northpoint 100% Cotton Plush Velour Miramar Beach Towel Just $19.99 Down From $99.99! Ships FREE! You are here: Home / Great Deals / 2 Pack: Northpoint 100% Cotton Plush Velour Miramar Beach Towel Just $19.99 Down From $99.99! Ships FREE! 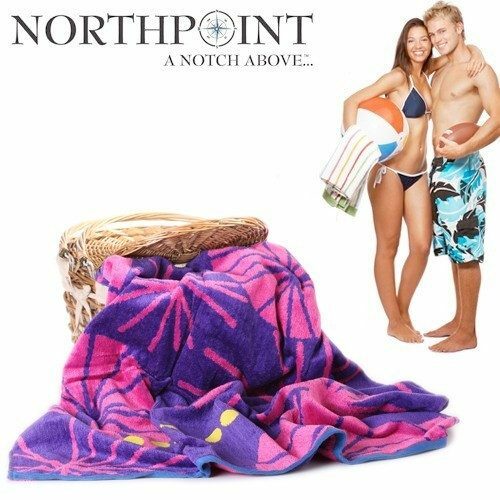 GearXS has this 2 Pack: Northpoint 100% Cotton Plush Velour Miramar Beach Towel on sale for $19.99 (Reg. $99.99) + FREE shipping! Head to the beach in style and stretch out on one of these large, colorful beach towels. Made from 100% cotton, you can choose from a range of sizes that are bursting with color and make lying on the beach that little bit more entertaining. Washable and wearable, these towels are ideal for family trips to the beach, the pool and camping vacations. Can choose from 34″ wide x 63″ tall.